My Easter cow comes all the way from… France! After a very successful Easter egg hunt and an even more enjoyable Easter basket discovery, my husband and I took the kids to the mall for a carousel ride. Our idea turned out not so good. Most stores and attractions were closed for Easter, including the carousel… Fortunately the kid playground was open so our boys got to run around and burn off some of their chocolate excess energy. As we were walking away from the playground to find a lunch spot, we went by a store where I spotted a cow several months ago, called Torn Britches. 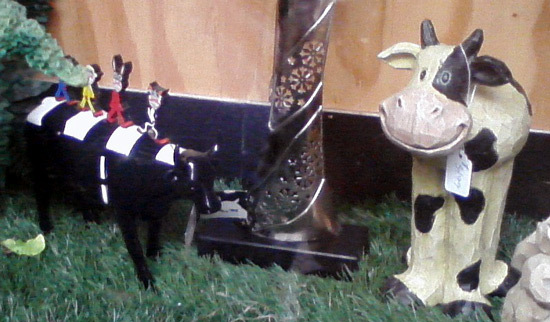 The cute cow was still there but since my last spotting, the store manager gave it a friend! I have to admit the white stripes on the black cow left me puzzled. My husband was kind enough to explain the reference to the Beatles’ album “Abbey Road”, where the band uses the crosswalk to get on the other side of the street. Aaaahhh, haha, was my reaction. That’s when I feel young – too young to understand a reference to the Beatles. I checked my email messages in the afternoon and my own mom surprised me for Easter. 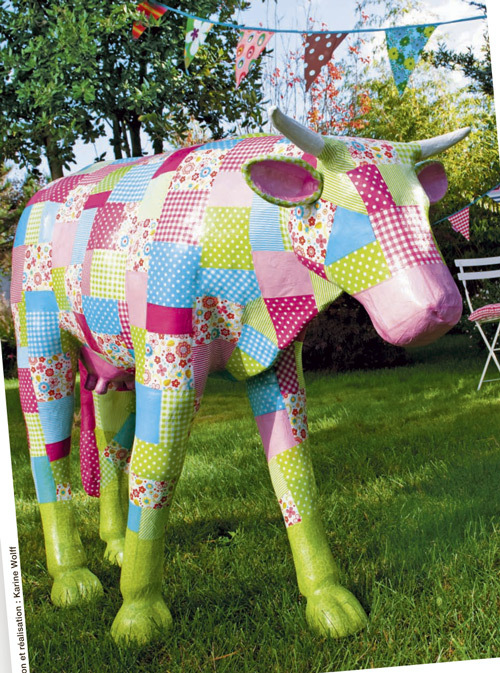 Her message read, “Since I know you’re into cows, here’s one I found in the latest Truffaut catalog.” Truffaut is a French home & garden store and I can’t believe what they have for sale – a cow papier mache kit! I think you first have to glue the cow’s body parts together. Then you add the fabric patches all over the cow, finally cover the animal with more glue and varnish to protect your work long-term. Check out the result! 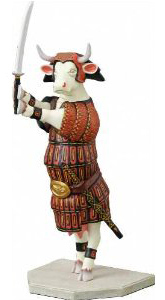 Large cow decoration from the Truffaut catalog - La vache a decorer! Isn’t it beautiful!? This cow is four feet tall and you get to choose the paper patterns you want to decorate it with. When you’re done you can display the cow in your backyard and surprise your guests. Really surprise them. The best part about this cow? No poop to clean up! Cool and that WOULD definitely surprise me to see in someone’s back yard! 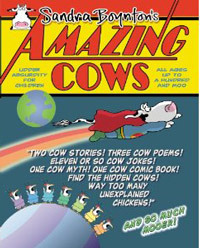 I have to admit, I keep noticing cows now!! !